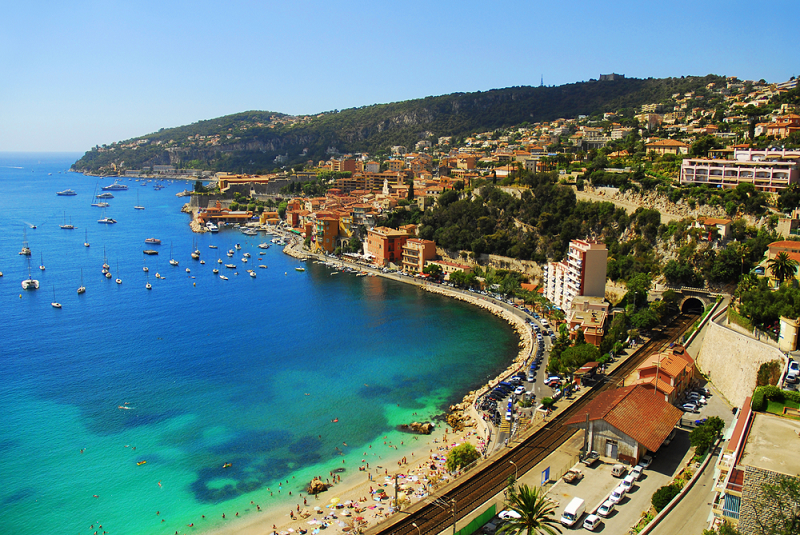 While visiting Italy, why not extend your stay and get a taste of France too? Spend a relaxing day enjoying the spectacular scenery of the French countryside, or take an overnight train and arrive in Paris or Lyon the next morning, alert and refreshed. France has more than 500 different kinds of cheese and more than 450 types of wines. France is western Europe's largest and probably its most diverse country. Each of France's 22 regions has its own culture and scenery, its own style of architecture and art, its own gastronomy and lifestyle, and in many cases its own dialect. This delightful diversity is what makes travel in France so intriguing. To check availability, fares, and to make your seat reservations, simply enter your city from and city to in our ticket search box to the left. Or buy the Eurail France & Italy PassInterRail France Pass for unlimited travel. You can book your seat reservations to accompany the pass with us too. Note: Some trains are overnight trains and when booking you will be prompted to make a sleeper car reservation. Read more about overnight trains here. Two of Europe’s most popular countries are brought together in style with Thello, a high quality and fast train which travels up to 180mph as it traverses the countryside between Italy and France.